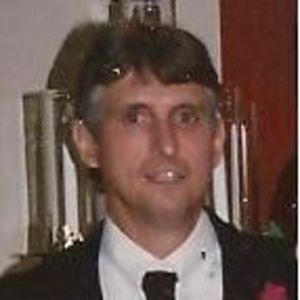 BROWDER – Johnie Nolan Casebier, 59, of Browder, died Saturday, March 10, 2012 at his residence. He was born in Muhlenberg Co. on January 11, 1953, was a coal miner and a member of the New Prospect Missionary Baptist Church. He is preceded in death by a daughter, Cara Beth Casebier, his mother Alberta Turner Casebier and a brother, Larry Casebier. Survivors include his wife, Carlene McKinney Casebier, of Browder, daughters, Heather (Chad) Baggett of Bremen and Holly Mackey of Paducah, a grandson, John Michael Mackey, his father, Nolan Casebier and a sister Hilda Hammers, both of Browder. 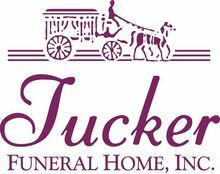 Funeral services will be held at 11:00 AM on Tuesday at Tucker Beechmont Funeral Home, conducted by Rev. Steve Rutherford and Rev. E. W. Greenwalt, with burial to follow in the Forest Grove Cemetery in Browder. Visitation will be from 5:00 PM to 8:00 PM on Monday, and after 8:00 Am on Tuesday at the funeral home. The beautiful and interactive Eternal Tribute tells Johnie's life story the way it deserves to be told in words, pictures and video. When I look back to childhood, some of my fondest memories include Johnie. His teasing, his brilliant smile, his vibrant blue eyes, and his big voice live in my memory. My prayers and thoughts are with all of you. I am sure Johnie is with Jesus, and enjoying all of the gifts that heaven brings. God bless all of you be with you during this time of sorrow. Carlene- I'm so sorry for your loss and I pray God gives you the strength to get through this time of sadness. Just know that you and your family are in my thoughts and prayers, sending you lots of love. hilda and carlene: i am sorry to hear about johnie. we were out of town when i read it in the paper. i am sorry i could not get back in time for visitation. you all are in our prayers. To my friends and neighbors Chad and Heather Baggett: Please accept my sincere condolences. May you and your family find peace during this difficult time. Take care. Carlene, I am so sorry about johnie. You are in my thoughts and prayers. If you need anything please let me know. I love you.